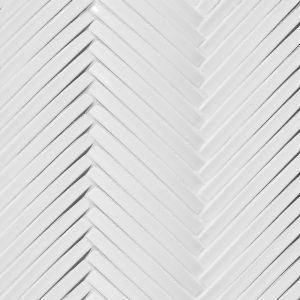 Feather is ordered by the square foot. 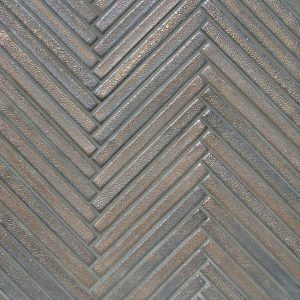 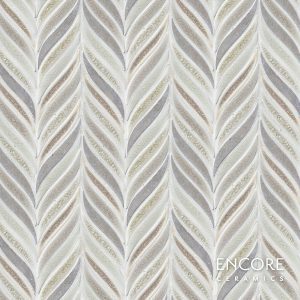 It is assembled into sheets approximately 14″ tall by 11 1/2″ wide (1.12 square feet per sheet). 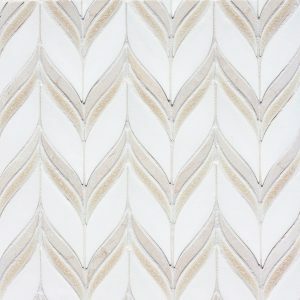 Feather mosaic shown in Milk gloss, Alabaster sheer, Platinum sheer, Quail gloss, and Partridge gloss in the large ombre blend. 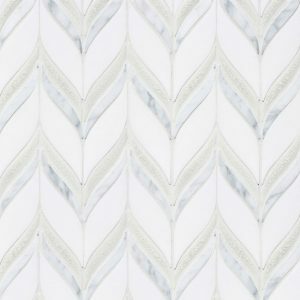 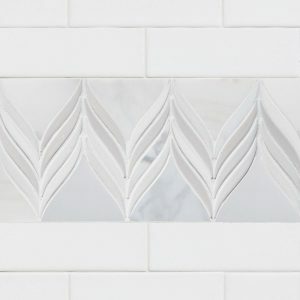 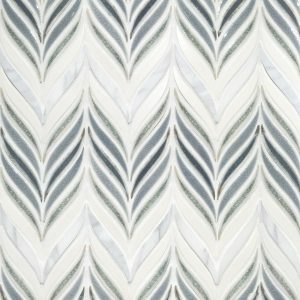 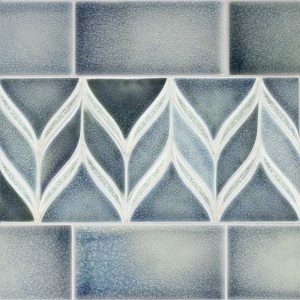 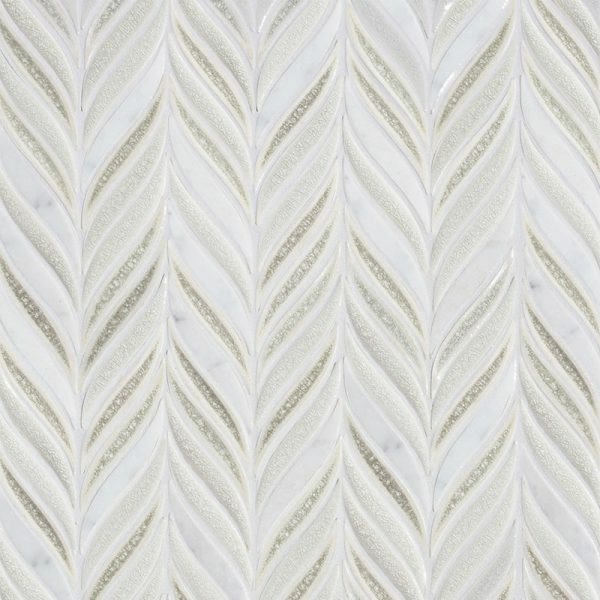 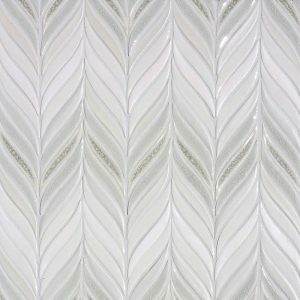 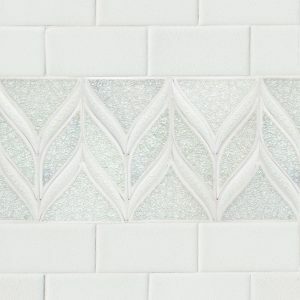 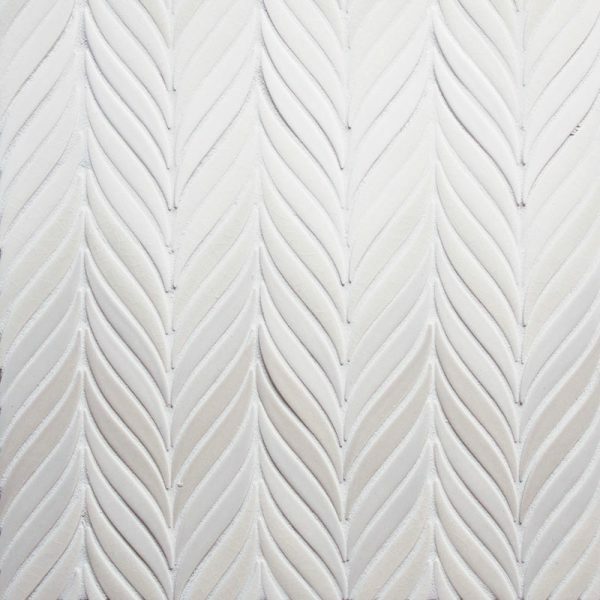 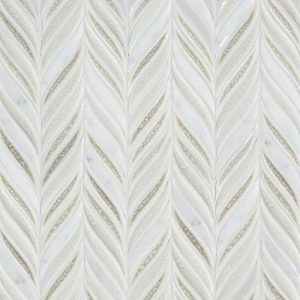 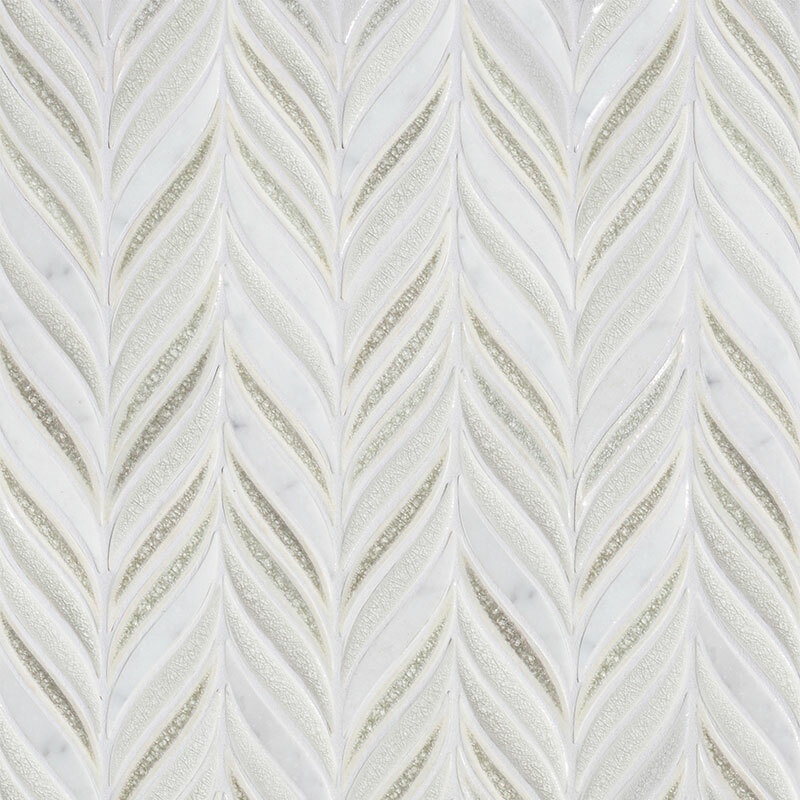 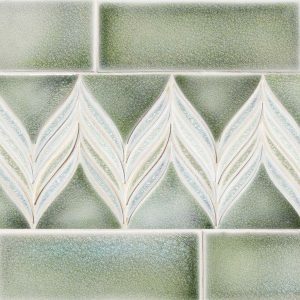 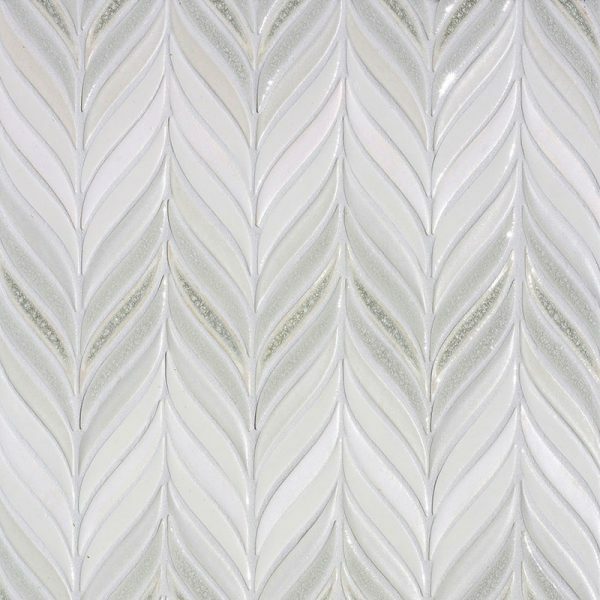 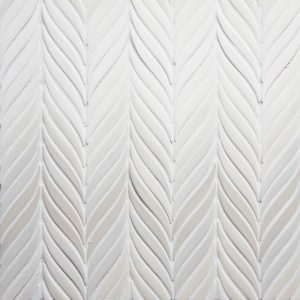 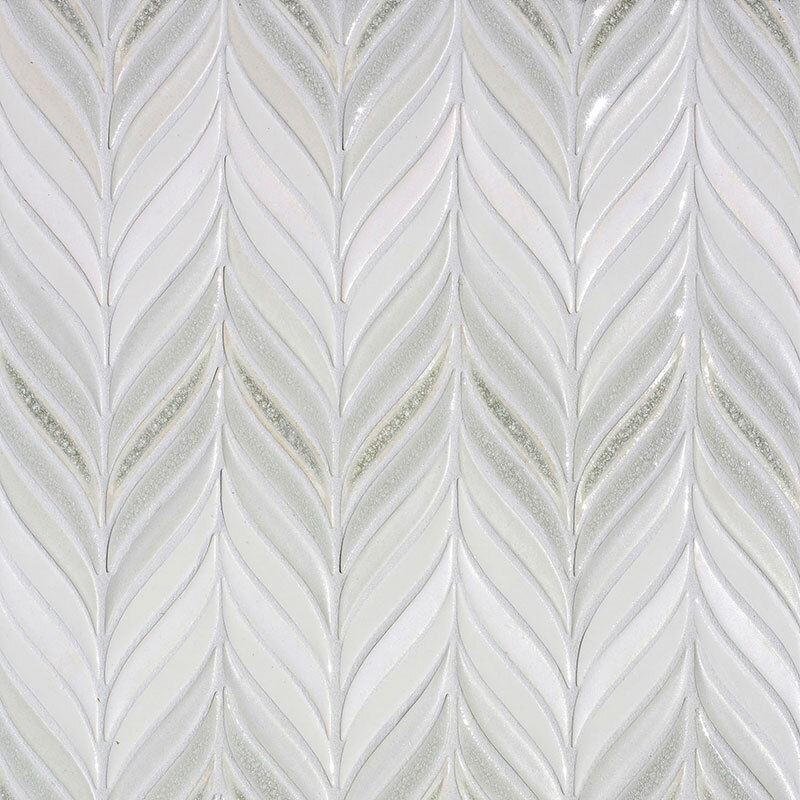 Feather mosaic shown randomly blended in the Carrara 203 color blend: Carrara marble, Sky, Cirrus, Fennel, and Shadow. 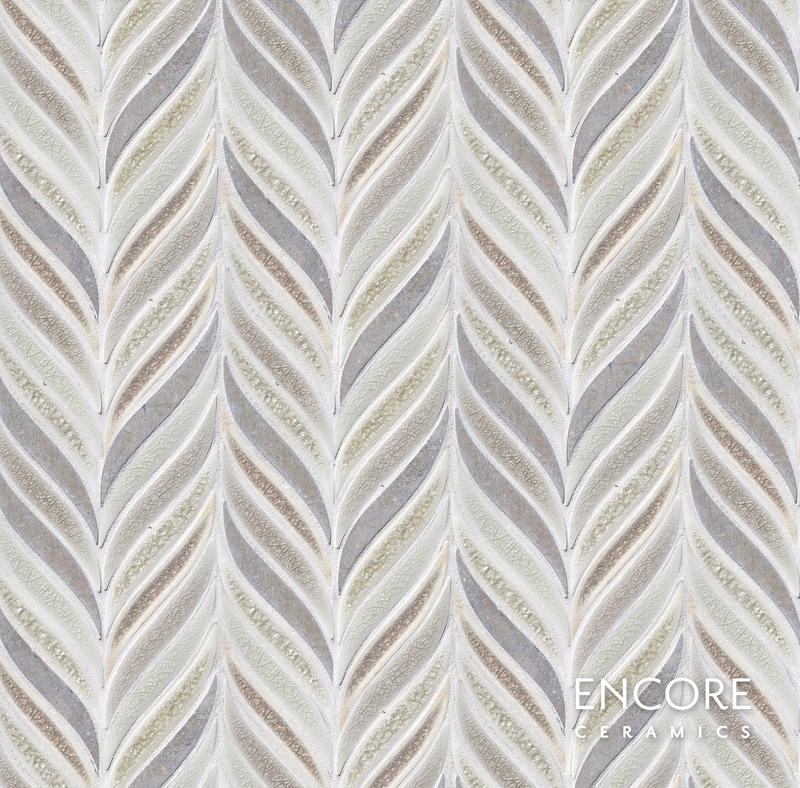 Feather mosaic shown randomly blended in Seagrass stone, Gimlet, Linen, Smoke, and Rosemary. 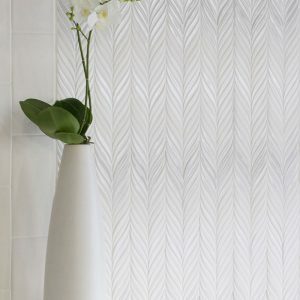 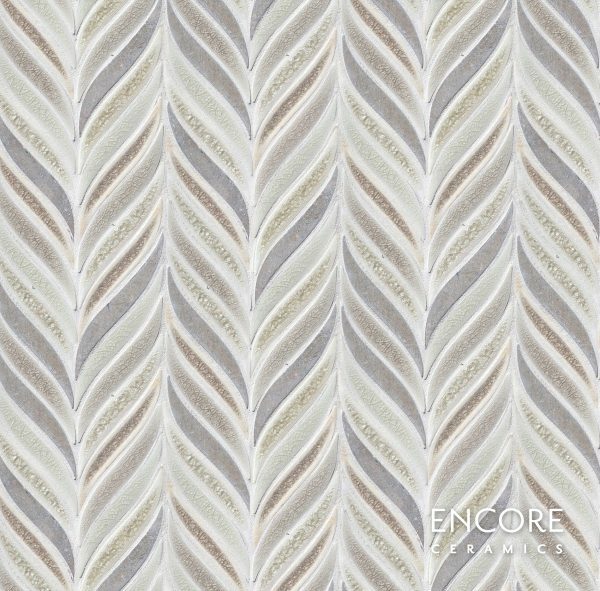 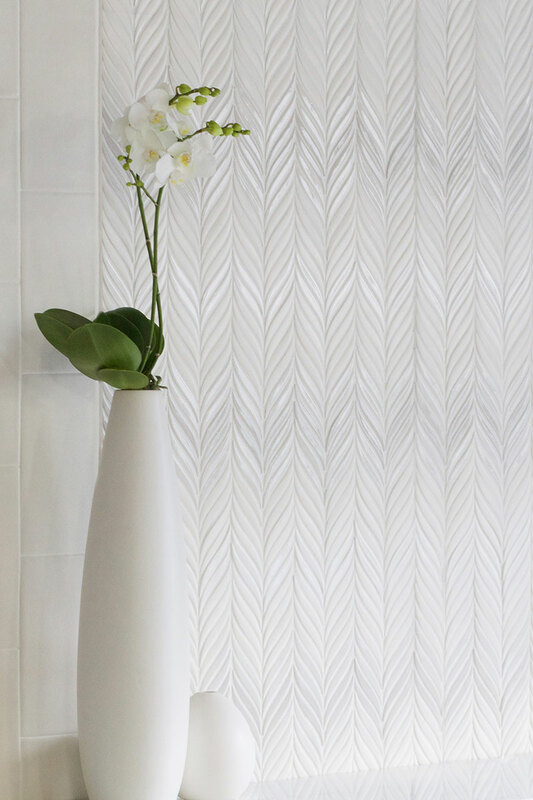 Feather mosaic shown in Bianca matte, Brie gloss, Stratus matte, Silver crackle, and Shadow quartz in the small ombre blend. 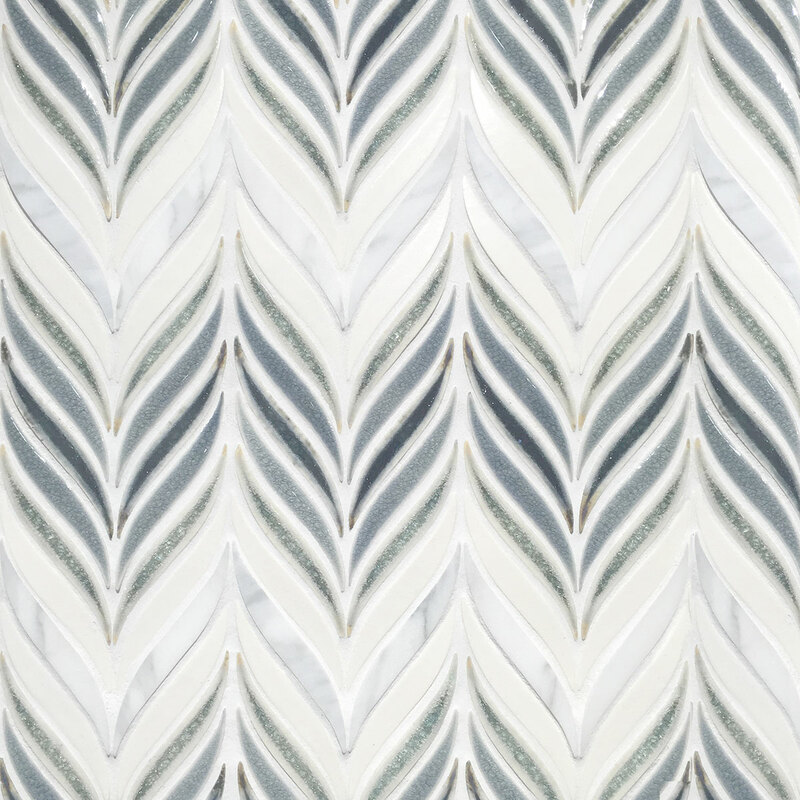 Feather mosaic shown in Calacatta marble, Brie gloss, Ocean quartz, Midnight crackle, and Peacock quartz in the small ombre blend.